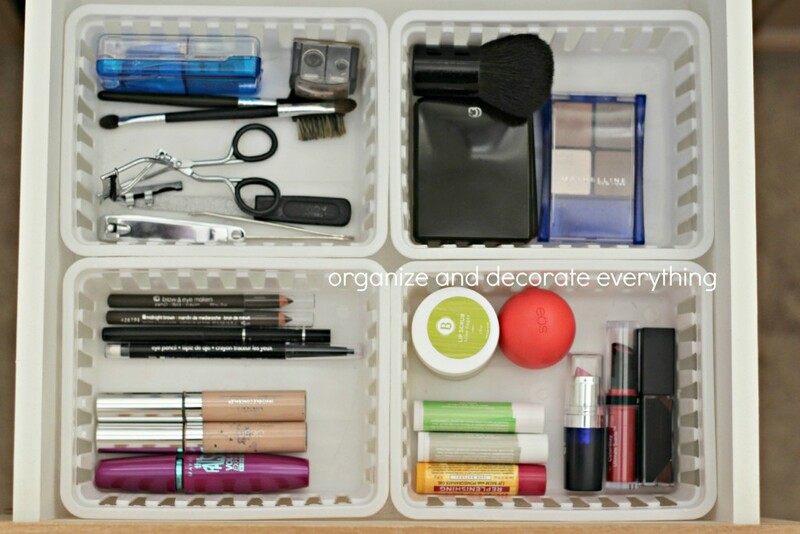 I believe 100% in being organized, but I also believe in not spending a lot of money. 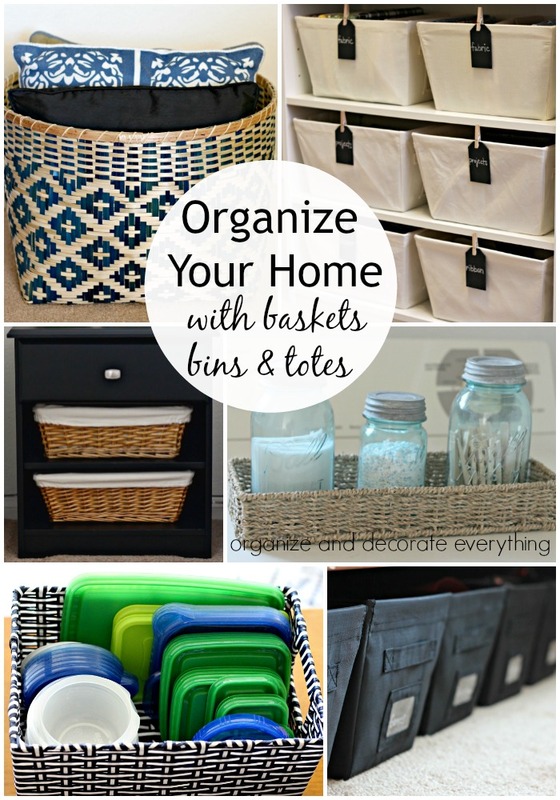 Take a look at how I organize my home, to get ideas on how to organize your home the inexpensive way with baskets, bins, and totes. 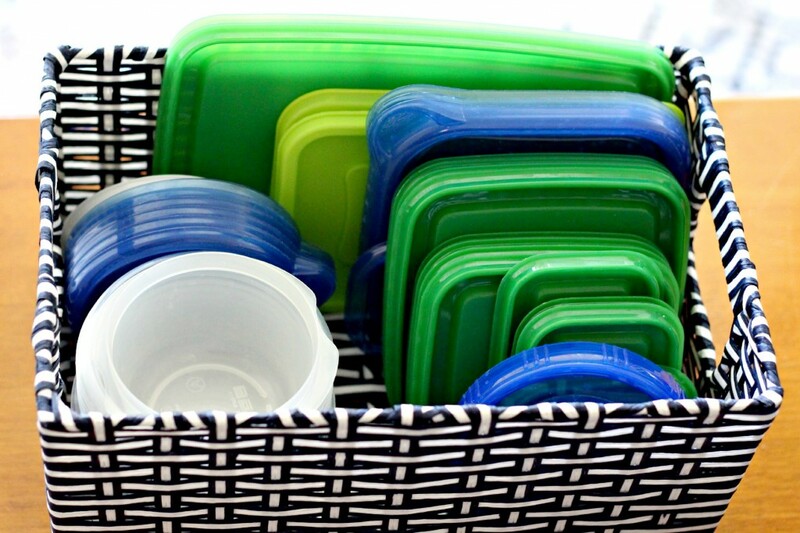 You can pick up a variety of baskets, bins, and totes almost anywhere. Some of my favorite places are Ross, thrift stores and Home Goods. Look for the best varieties in the late Winter and early Spring. 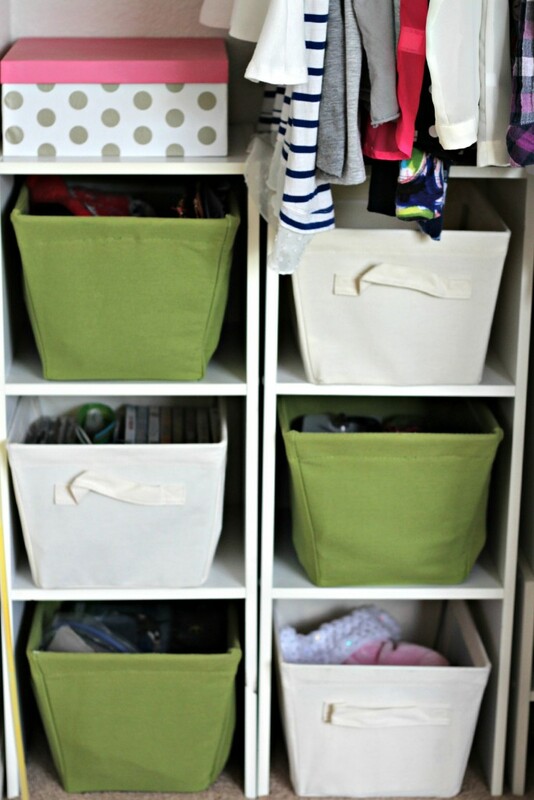 The best thing about organizing with baskets is that you can take them with you when you move and use them again. They are also easy to move from room to room if your needs change. 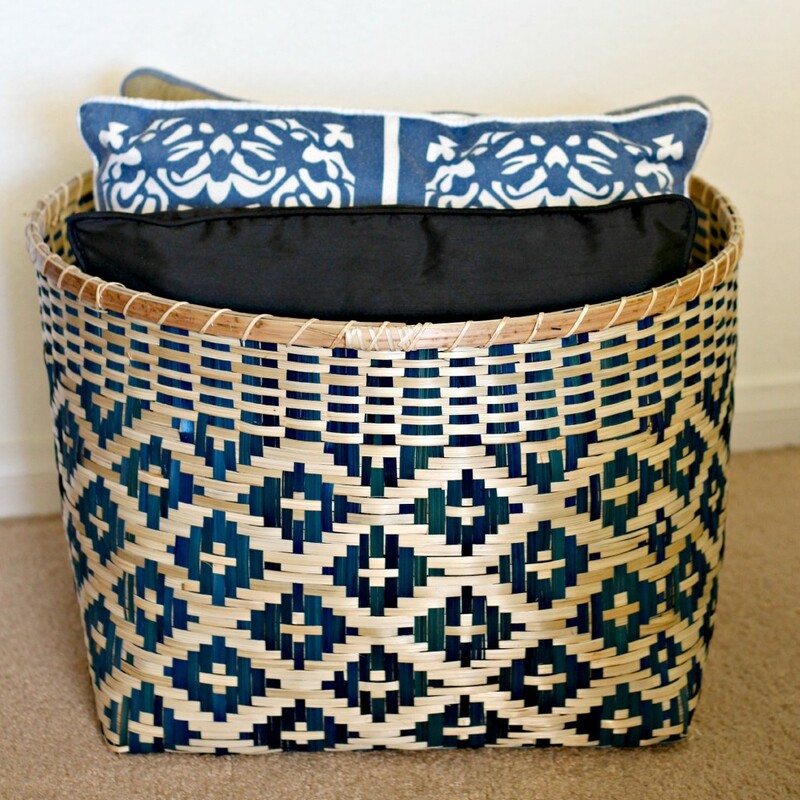 This large woven basket is to hold extra pillow cushions I don’t mind my kids throwing on the floor. 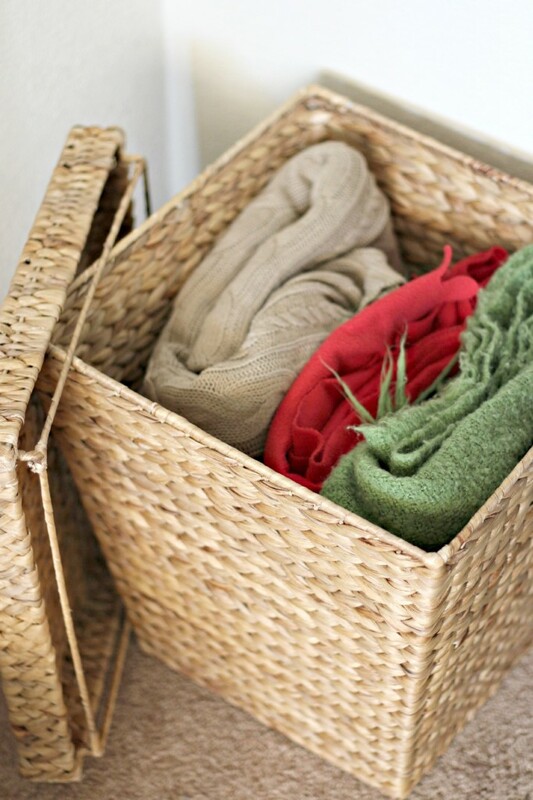 I wish I would have bought 2 of these lidded baskets for extra blankets in the living area. 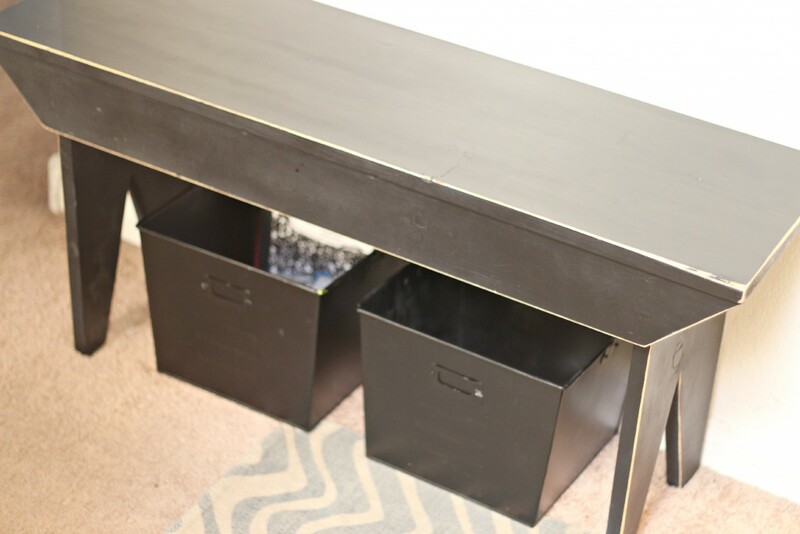 It makes a great portable table for easy access to snacks while watching TV too. 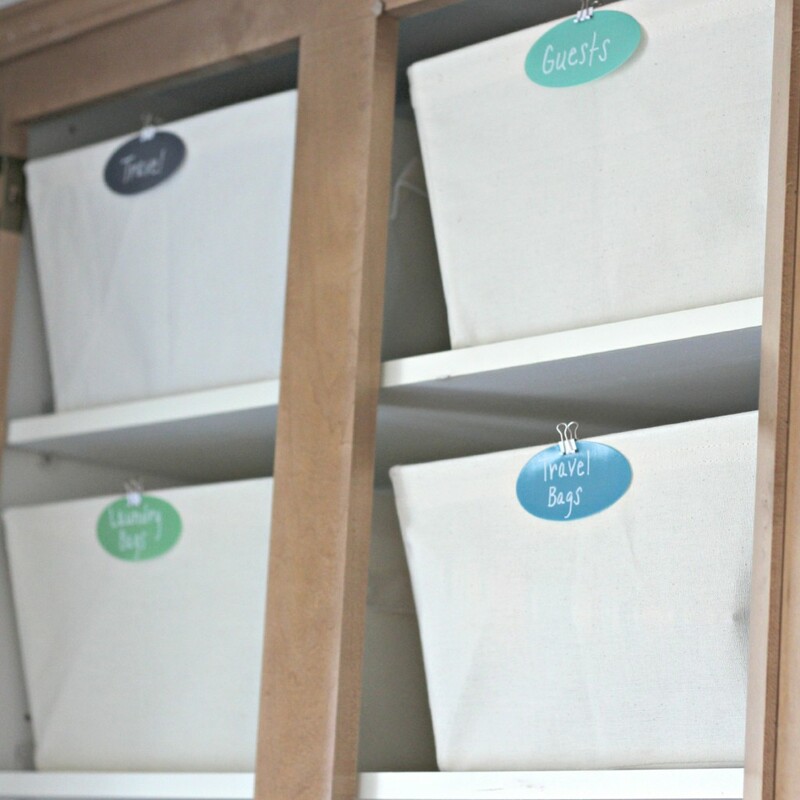 I made a craft table on a really limited budget then added these inexpensive totes for hidden storage. 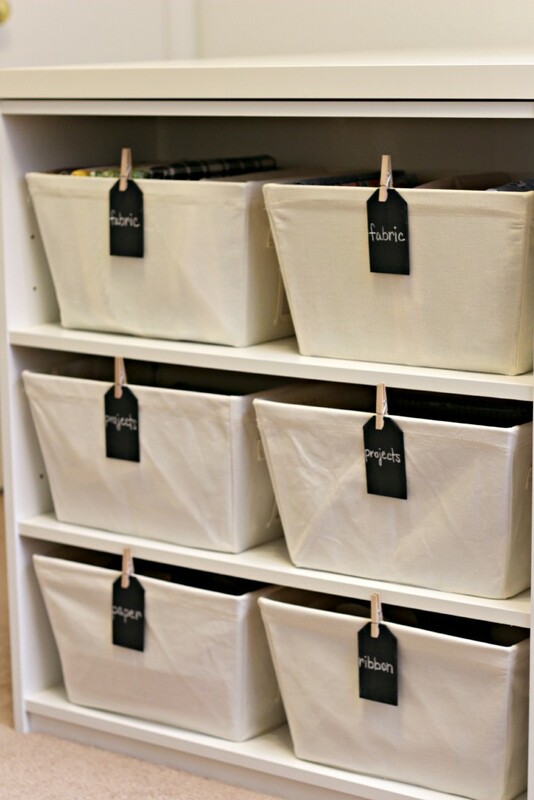 Attach chalkboard labels to the totes with small clothespins. 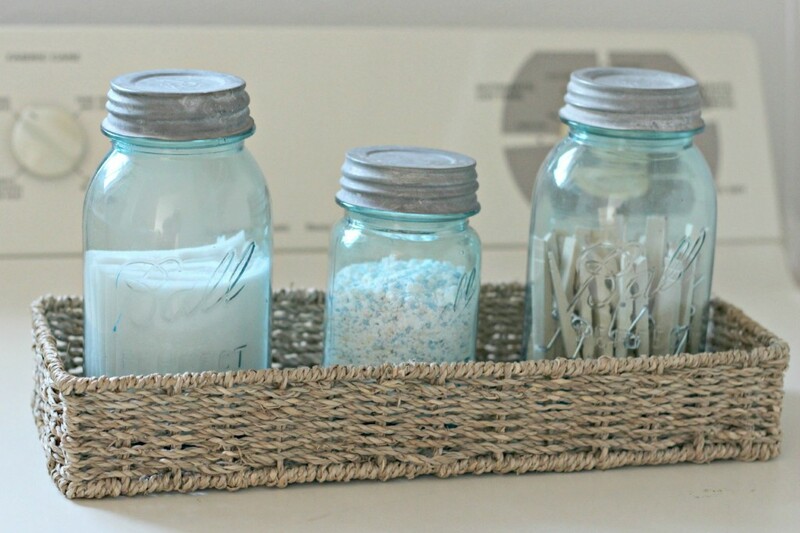 These totes hold non-seasonal home decor items I change around in my home regularly. 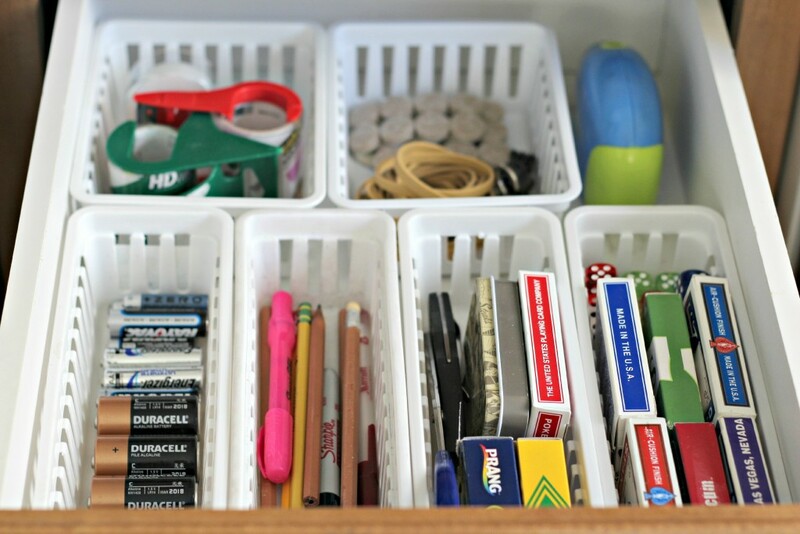 If you don’t have any drawers or enough drawer space in your desk a small shelf with baskets and bins can hold office essentials. 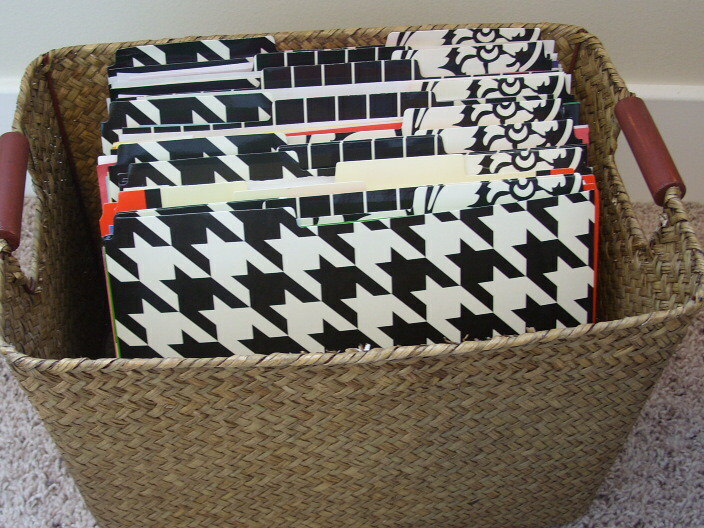 The lower basket holds my personal files. 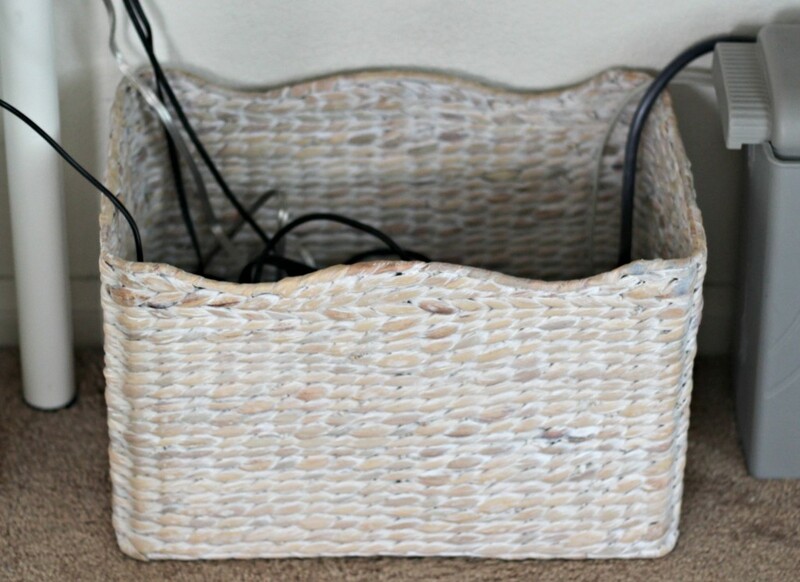 The basket under the desk is to control all the office cords that would normally be in a jumble on the floor. 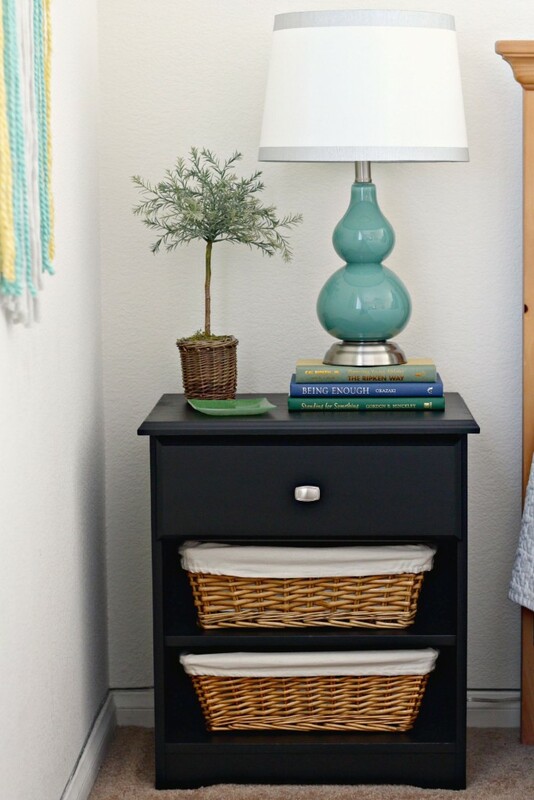 This bedside table didn’t have enough hidden storage so I added the baskets that more than doubled the storage space. My boys bedrooms are small and storage space is limited so these totes under the bed add much needed storage space for their stuff. 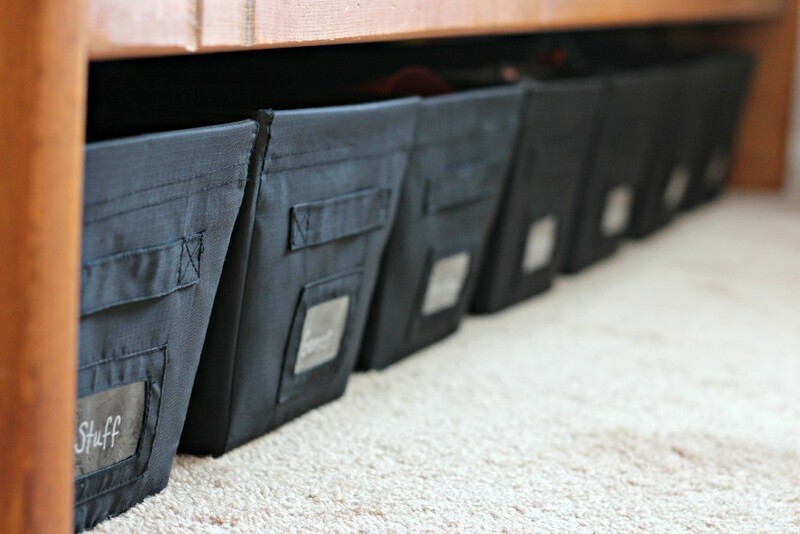 You can usually find more storage space in the bottom of a clothes closet. 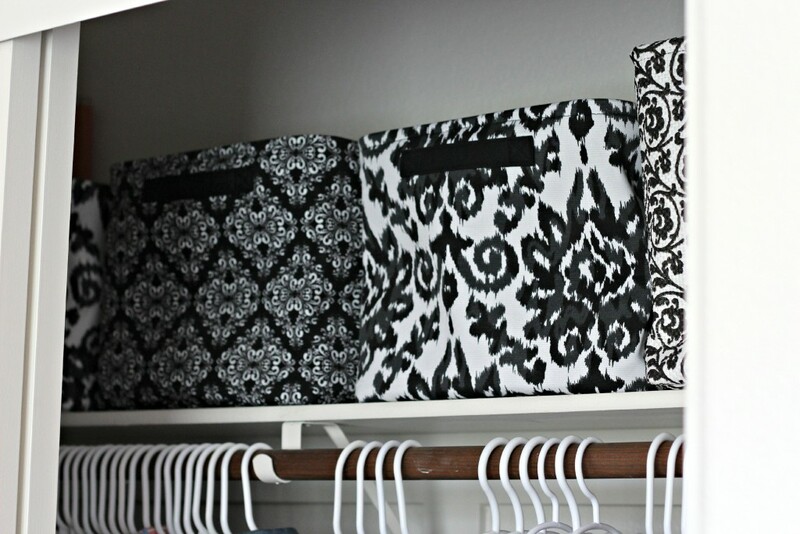 By adding totes to inexpensive shelves you can store lots of items that are easy to access. 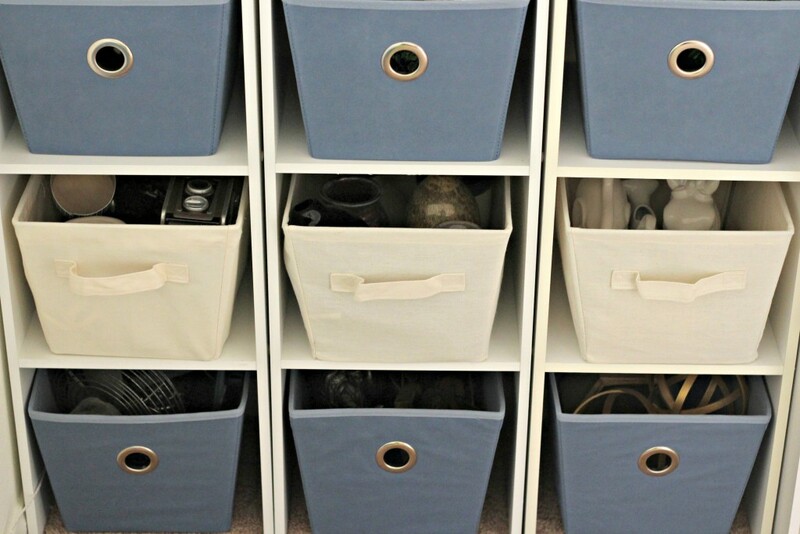 Store seldom used items in totes or bins on a top shelf in a closet. 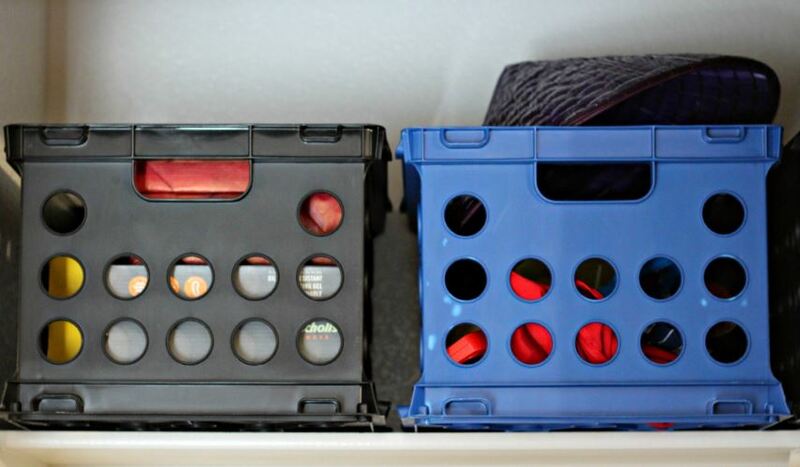 These milk crates are another inexpensive way to store items on a top shelf in the boys room. 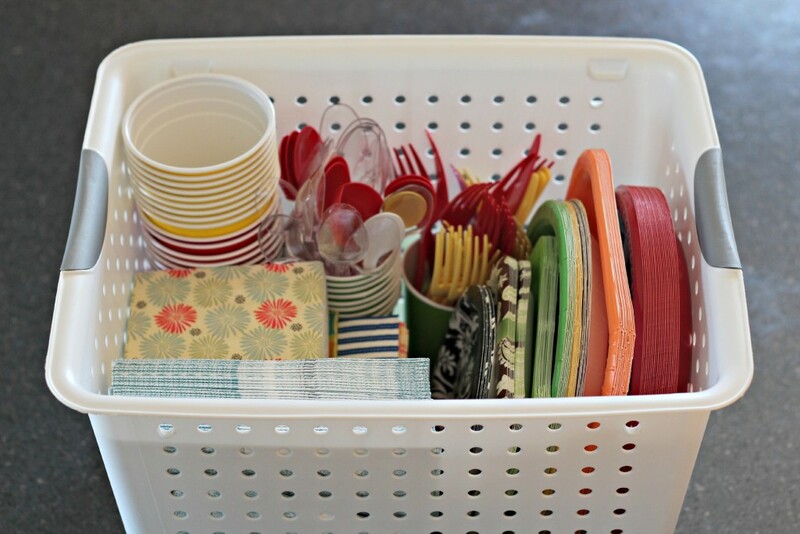 I love using baskets to corral pretty and useful items especially if I’m limited on space. 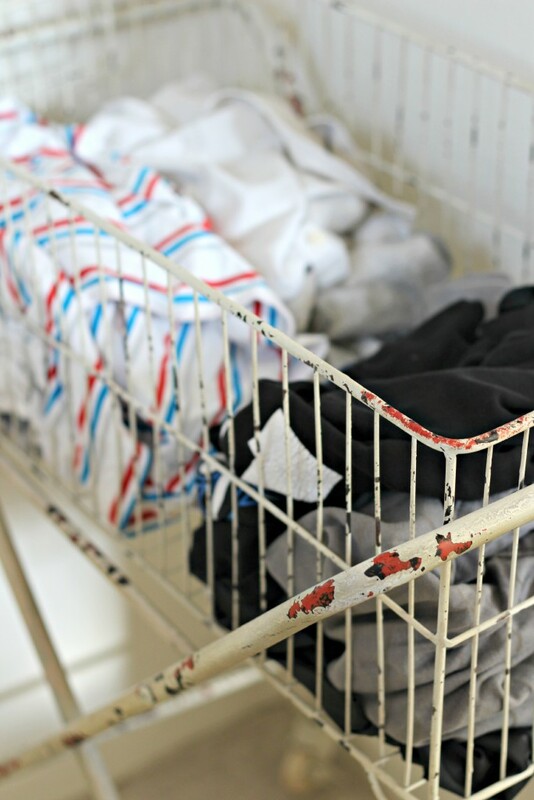 If you have a really cute laundry basket you can keep it out on display in the laundry room. I love this one with wheels. I fortunately have large cabinets in the laundry room that offer plenty of storage. 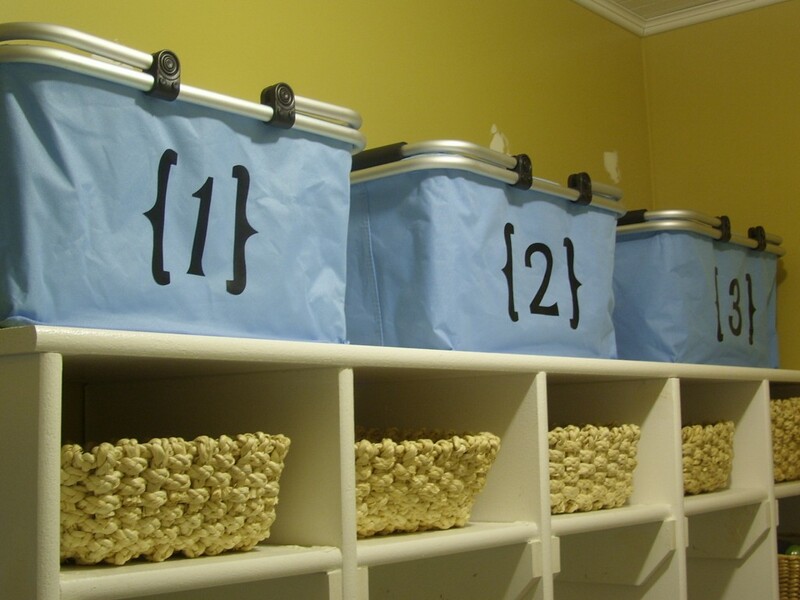 I added totes to organize and contain the separate items. 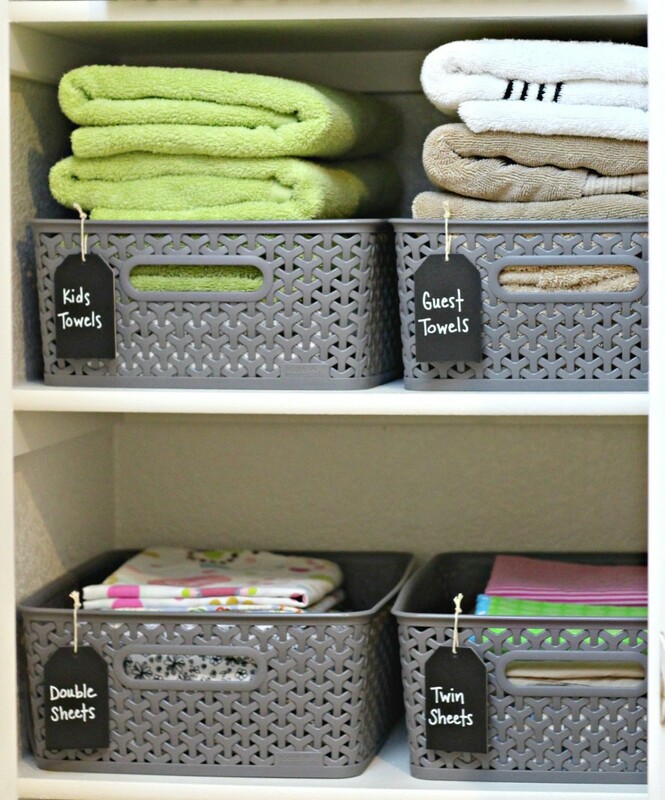 All of your baskets don’t have to match, especially if they’re behind closed doors, they just have to work for that space. 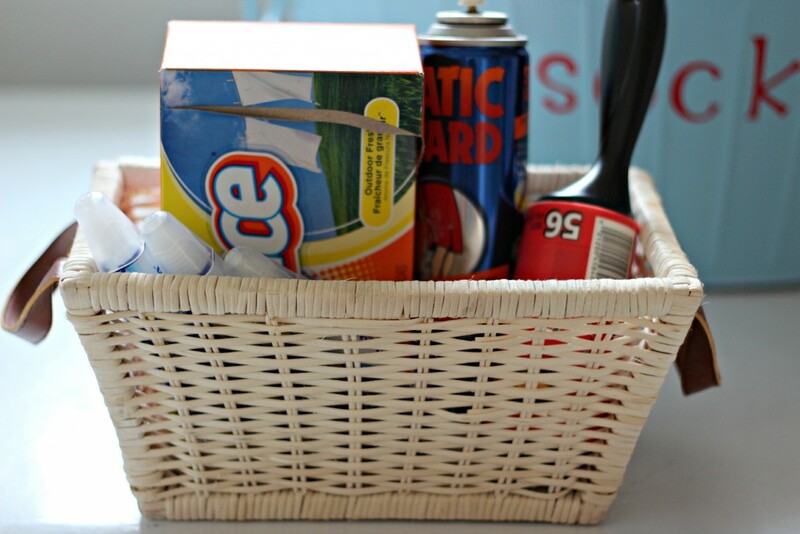 Sometimes you just need a small basket to hold small essential items. 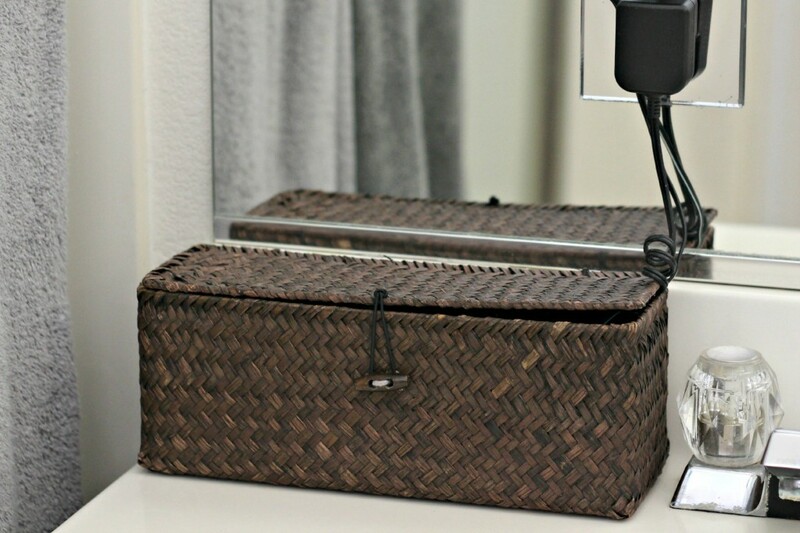 Plastic baskets are the best to use in places with a lot of moisture, like the bathroom. I also like to label everything so there’s no question where to get and return things. 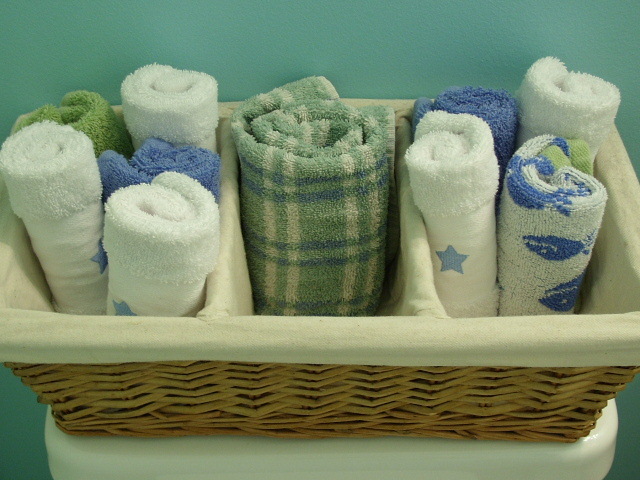 Rolling wash cloths and hand towels and placing them in a basket looks cute and also gives everyone easy access to them. I was tired of hubby’s razor being out in a big jumble in the corner of the counter so everything associated with the razor is now placed in this lidded basket. 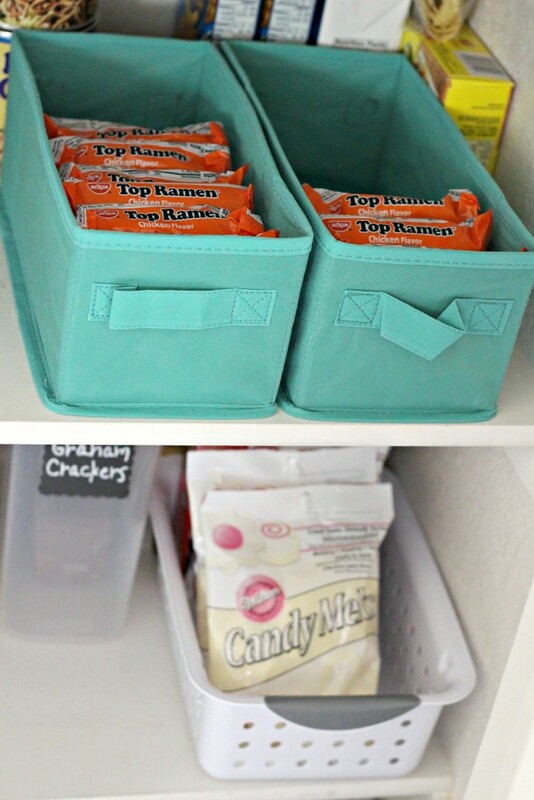 I love these cheap baskets to hold small items in almost any and every drawer. I was so tired of trying to keep lids with the containers. 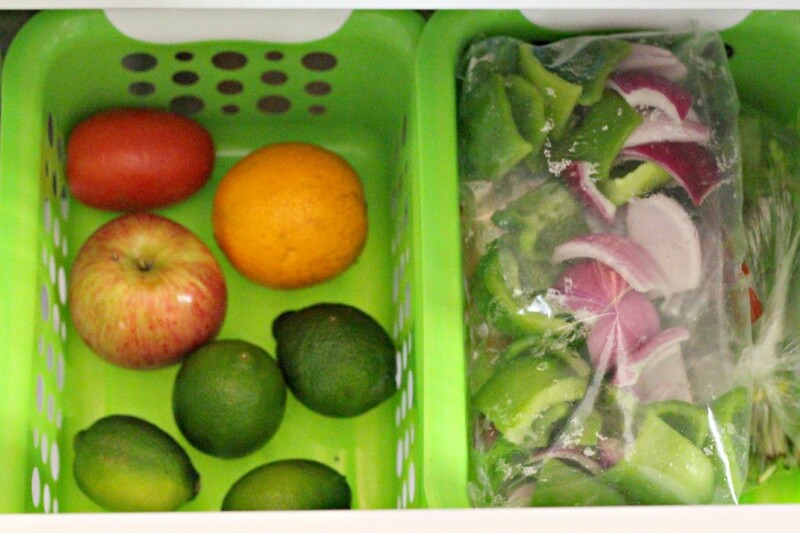 This is a much more convenient way to keep the lids under control. 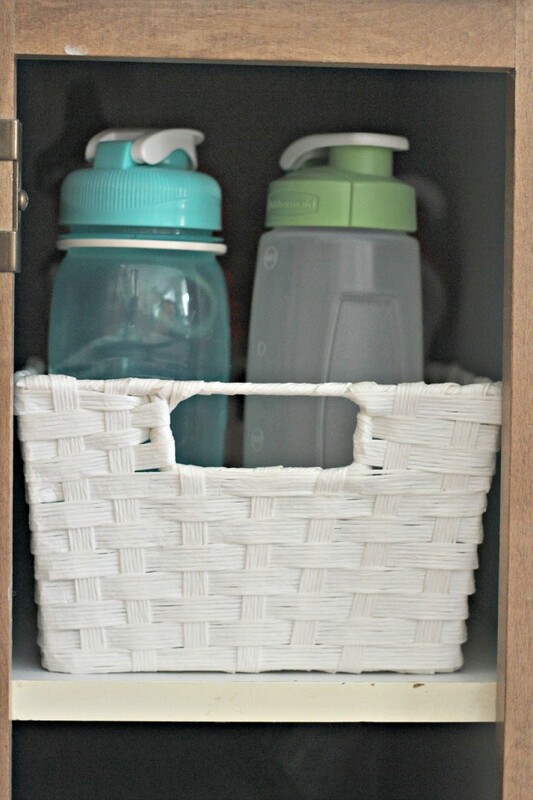 I was also tired of the water bottles falling over and being a mess in the cabinet. They’re much easier to control now that they’re in a basket. 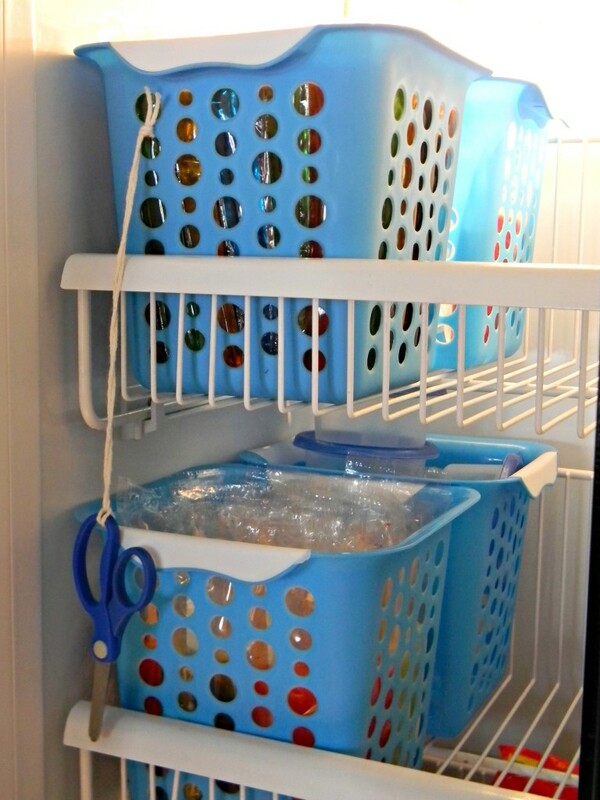 Baskets are an easy way to keep food separated in the freezer. And even in the pantry. This basket holds extra paper products for picnics, barbecues, and even just for nights when you don’t feel like doing dishes. Who says you can’t have a neat and tidy all purpose drawer? These little plastic baskets come in handy. These baskets on top of open lockers hold seasonal items when not in use. The small baskets below hold gloves and hats in the Winter and swim goggles and bug spray in the Summer. Under the bench are 2 metal totes that hold the kids lost and found items. They are cleaned out a few times a week. 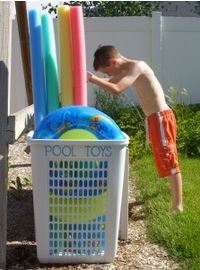 A large laundry basket holds our outdoor and pool toys. The box behind it holds more milk crates to keep the inside of the box organized. 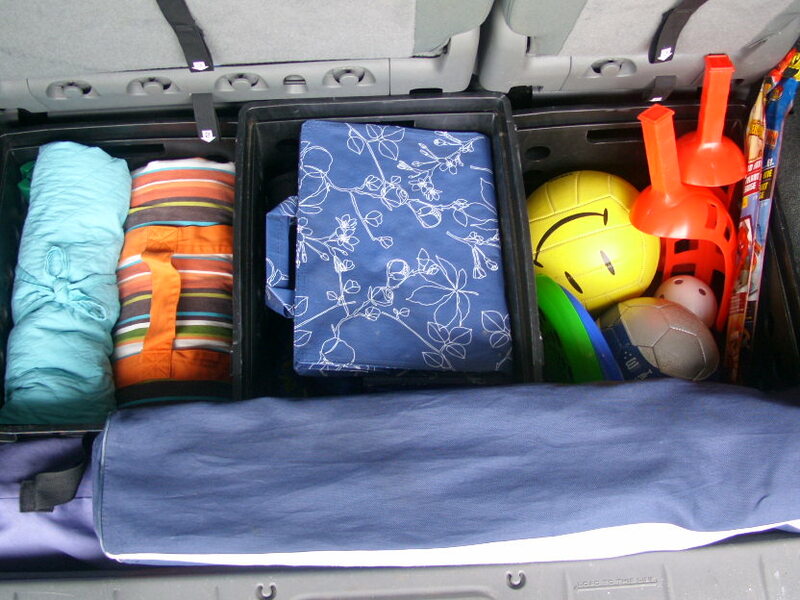 Add milk crates or totes to the back of your vehicle or in the truck to keep essentials available. Use the crates to keep items separated.